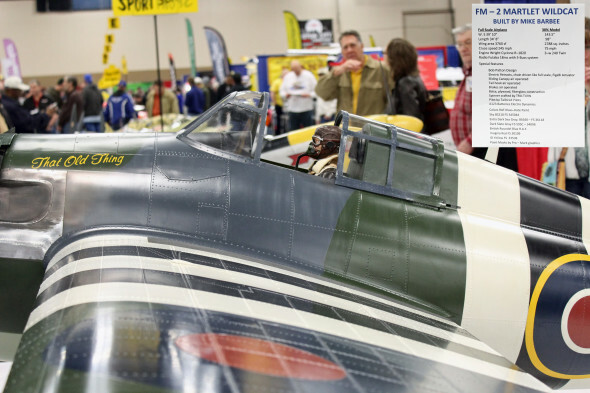 The 2015 Toledo Show celebrated its 61st year of operation April 10-12. Put on by the WEAK SIGNALS flying club, the event is host to a massive number of manufacturers, distributors and spectators that descend on the northern Ohio city every spring to quench their thirst for fixed wing RC aircraft. This year, we were fortunate enough to spend the entire weekend mingling with the crowds of pilots and designers alike. Event Co-Directors, Rick Lederman and Wayne Yeager were happy to show us around and explain a little bit about how such a large undertaking goes off every year with nary a hitch. We’ve included a few select photos out of the thousands of images we captured over the weekend. Think of these pictures as an appetizer, if you will, before the main course. 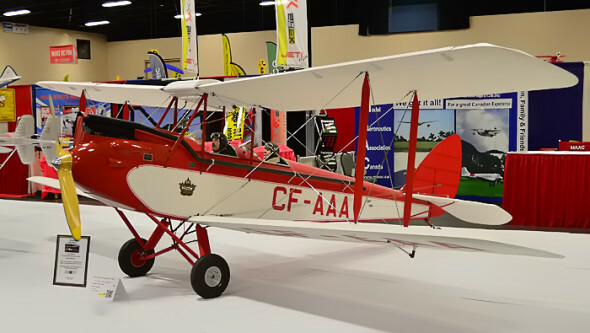 Be sure to check out the August issue of Fly RC for the full event coverage write-up and to see a full list of contest winners and sponsors list of the exciting 2015 Toledo Show! 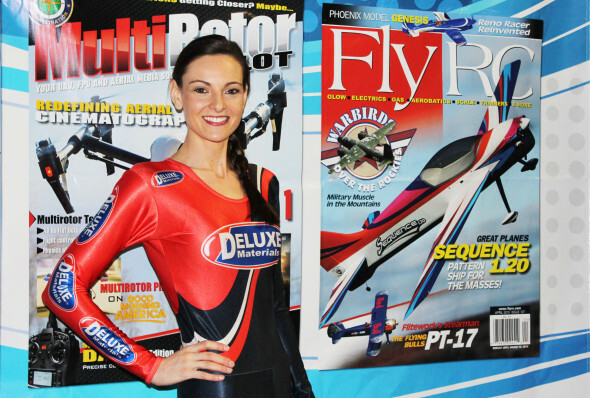 Ms. Deluxe Materials for Toledo, the beautiful Christina Watts, stopped by the fly RC booth to say hello. 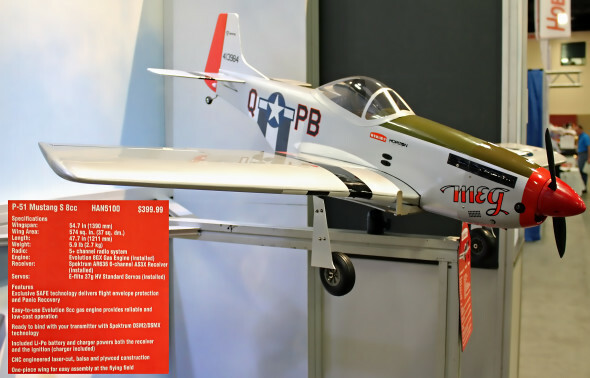 Hangar 9’s new P-51 Mustang S 8cc BNF Gas Trainer not only packs the Evolution 8cc gas engine, but it is also the first gas plane to include Horizon Hobby’s Patent Pending SAFE technology. 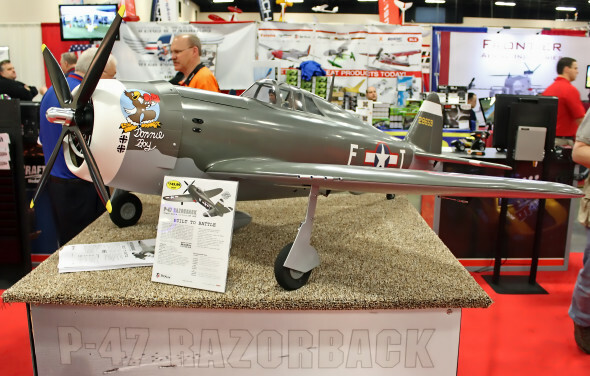 The all new, giant scale P-47 Razorback from Top Flite was on display in the Hobbico booth and drew a hefty crowd of on-lookers throughout the weekend. This gorgeous 50% DH 60G Gipsy Moth is a marvel of scale detail. 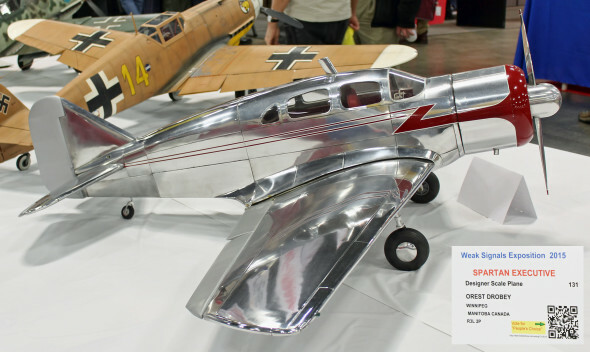 Presented by Philip Soden of Pontypool, Ontario, this model took home the prestigious Best In Show Award. The static displays were not limited to air vehicles. 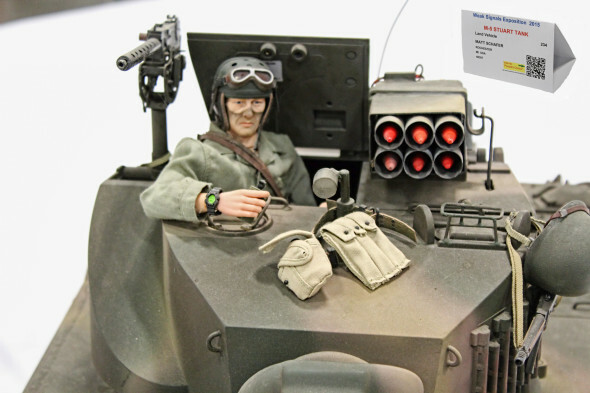 This M5 Stuart Tank was incredibly detailed, right down to the goggles created “dirt mask” on the drivers face! This Sikorsky S40 Sea Plane by Karl Gross of Burlington, Ontario is a work of art and dwarfed most of the other aircraft on display. Builder Mike Barbee told us that he had 3000+ hours invested in the rivets and landing gear alone on this beautifully crafted FM-2 Martlet Wildcat and then end results are amazing. White walls? Yeah, Toledo has those too. 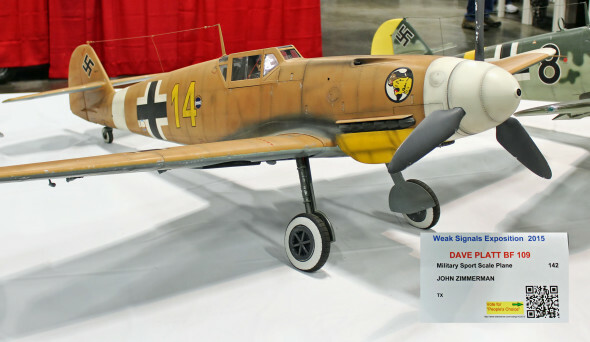 Check out the weathering on John Zimmerman’s Dave Platt BF-109. This Spartan Executive from Orest Drobey of Winnipeg, Manitoba caught everyone’s eye with its glistening covering. Previous RutanRC to Develop and Produce Models of SpaceShipOne and White Knight.